Decorating your home using a neutral color palette is timeless and chic, but those beige, off-white, and gray hues can also be a bit boring if there are no other colors to break them up. There are plenty of spots throughout your home where you can add pops vibrant colors to create visual interest without overwhelming your space with color. Here are seven places in your home where you can easily add vibrant colors. A colorful throw rug, strategically placed in front of a chair, desk, or under a coffee table is an easy way to add color and texture to a living room, den, or office. It can be put on top of hardwood flooring, painted floors, or even neutral carpet. You can choose a color that’s in contrast to the main colors in the room or find a rug with an interesting pattern that enhances the decorative theme of the room. Painting window frames in vibrant colors will lead the eye to the natural light coming in. In small spaces, this helps the room appear roomier than a cooler shade would. Painting your home’s window frames will provide a much-needed pop of color, and help incorporate character into your home as well. Molding in any room is just begging to be painted a color that compliments neutral walls. It’s hard to pick the wrong color when the walls are neutral. You can choose a color for the molding that’s just a few shades darker than the wall color on the wall for a subtle effect. Or, choose a more vibrant contrasting color that highlights the walls without taking up too much of the spotlight. If you’re looking to liven up your dining room, then start with your chairs. Choose chairs that are upholstered with fabrics that are different shades of vibrant colors. For example, yellow really shines when paired with a neutral interior. Deep blues also add depth and interest to an otherwise neutral room. Using accent pillows is an ideal way to experiment with vibrant colors in your neutral living room. You’ll be able to try out oranges, blues, purples, greens, reds and other bold shades until you find the perfect color. Once you find a color you like, you can invest in a living room chair or sofa of the same color. Or hang a piece of art on the wall that matches your accent pieces. There are all kinds of possibilities; just be careful not to overdo it. Add enough color to make your space feel renewed and refreshed, but not so much that it takes over the room. If you’ve got an all-white kitchen then the perfect place to start adding more vibrant colors is the cabinetry. If you’re starting with a white background, then there’s no need to worry about colors clashing. You can purchase kitchen cabinets in varying colors – bright red, yellow, deep, blue, or anything that matches your personality and the ambiance you want to create in the kitchen. 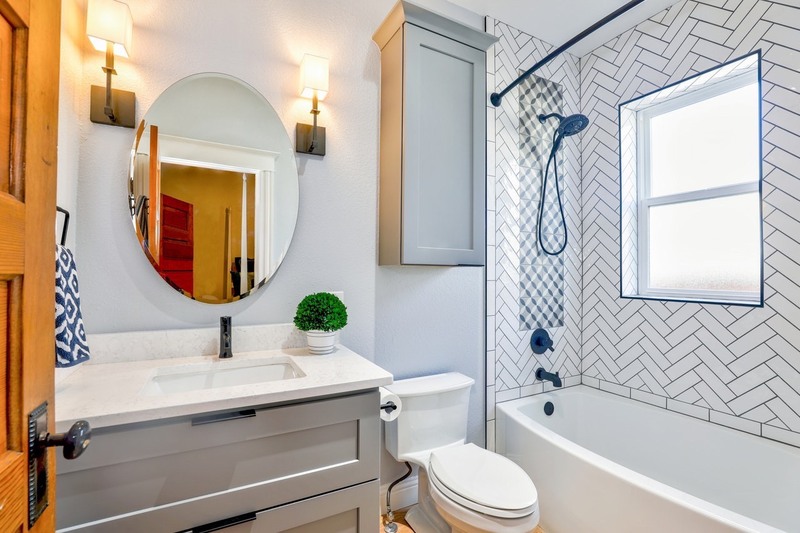 Similar to the kitchen, if your bathroom is all-white, then you can add strategically placed pops of color. Consider upgrading the bathroom cabinets to a bolder or more vibrant design. For a more dramatic look, you can even purchase new colorful countertops and tiles. When you’re re-designing any room in your home, don’t think that vibrant colors are off limits. The trick is to find the balance between bold and neutral colors to create the ideal look for your home. If your kitchen or bathroom cabinets need an upgrade, then contact Special Additions, one of the largest and most reputable cabinetry dealers in the New Jersey/New York area. We’ve been family owned and operated since we opened our doors in 1978.